Spring has officially sprung so it's only natural to start thinking about all the delicious food that comes with it - picnics, BBQs and my favourite, ice cream! 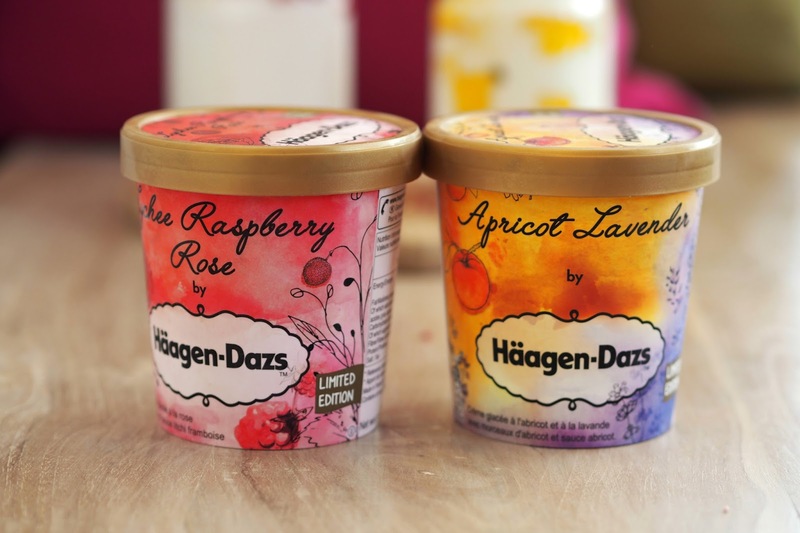 Those clever people at Haagen-Dasz have managed to capture the spring season into tubs of their new limited edition 'Little Gardens' ice cream which goes on sale exclusively in luxury department store, Liberty London, on Monday 11 April. The team sent me the two new floral inspired flavours, Lychee, Raspberry and Rose and Apricot & Lavender and challenged me to come up with an interesting way of using them in a recipe. I instantly knew that I wanted to create a freak-shake! 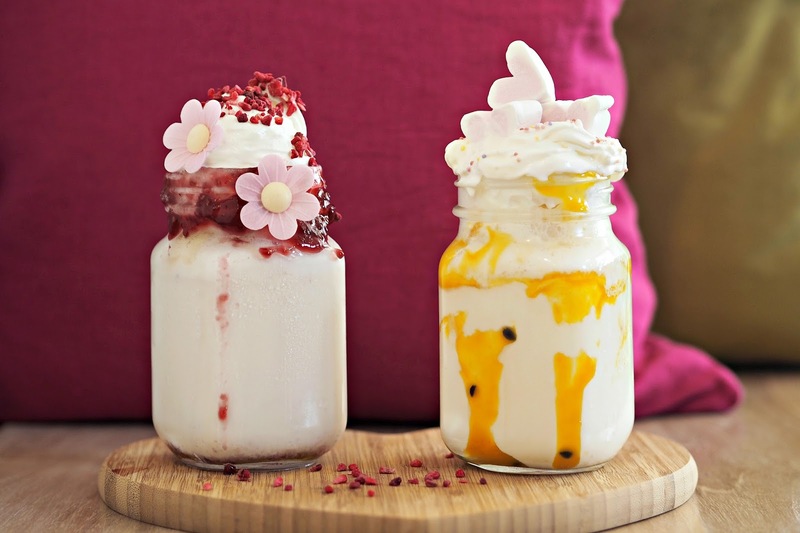 Originally hailing from Australia, and made famous in the UK by East London cafe Molly Bakes, these are like milkshakes on steroids. I've kept mine PG-13 by renaming it a 'Dream-shake' as when we were younger, my step-dad hated us using the word 'freak' and I know he'll be reading! The new Haagen-Dasz ice cream makes the perfect milkshake base ready to be adorned with any kind of topping you fancy. 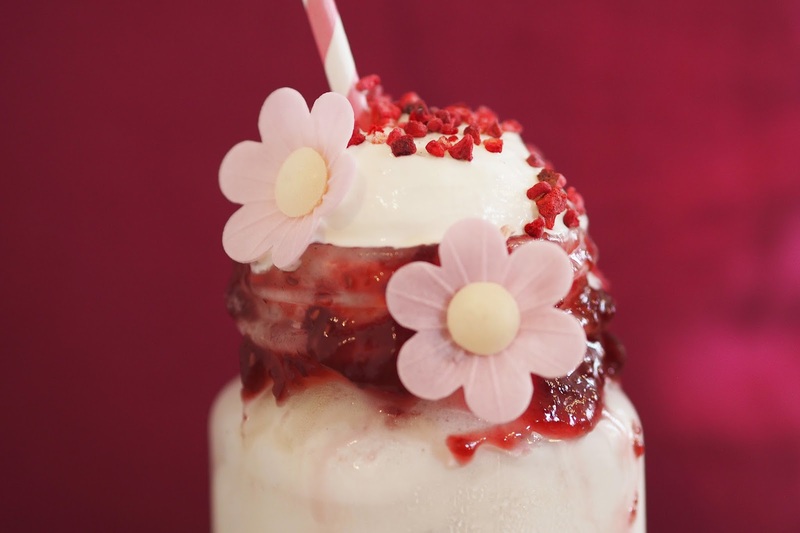 Less is definitely not-more with these indulgent creations so be as wild as you want when putting your milkshake together, I've even seen doughnuts and brownies poking out the top! 4. 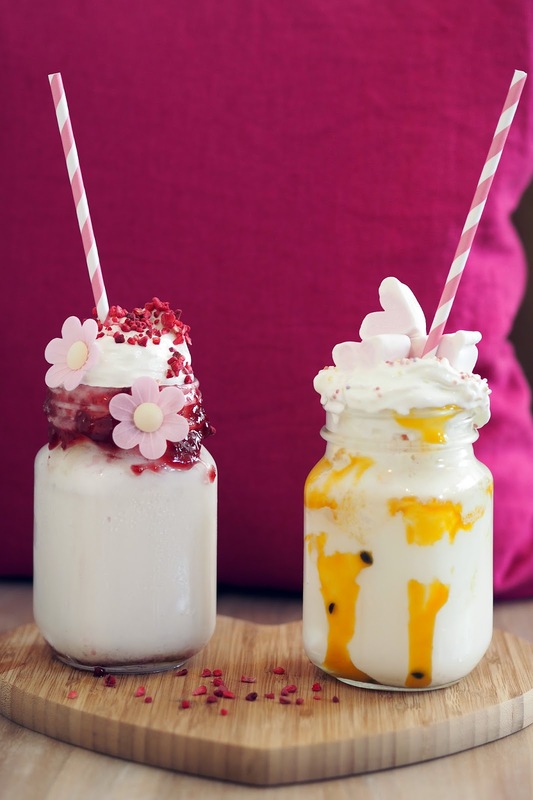 Fill the jar with milkshake - the ice cream will float to the top which will help when adding your toppings! 5. 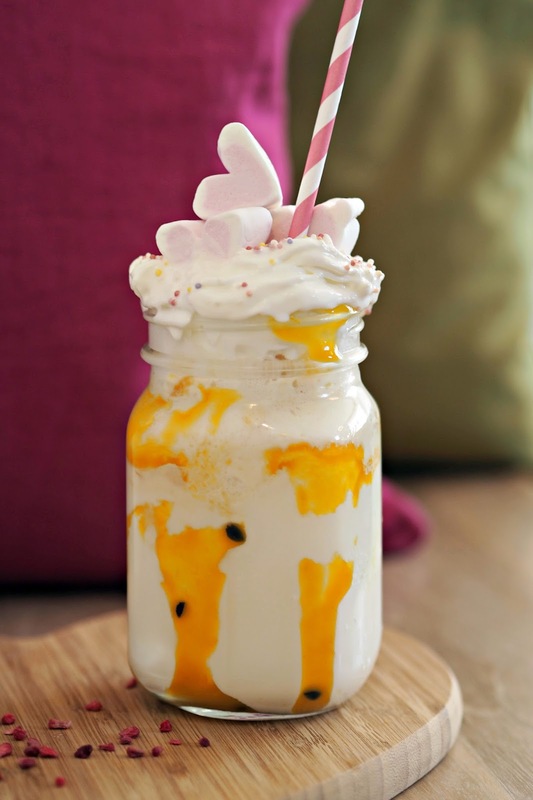 Squirt the cream over the top of the milkshake - the more extravagant the better! 6. Decorate with anything you like! 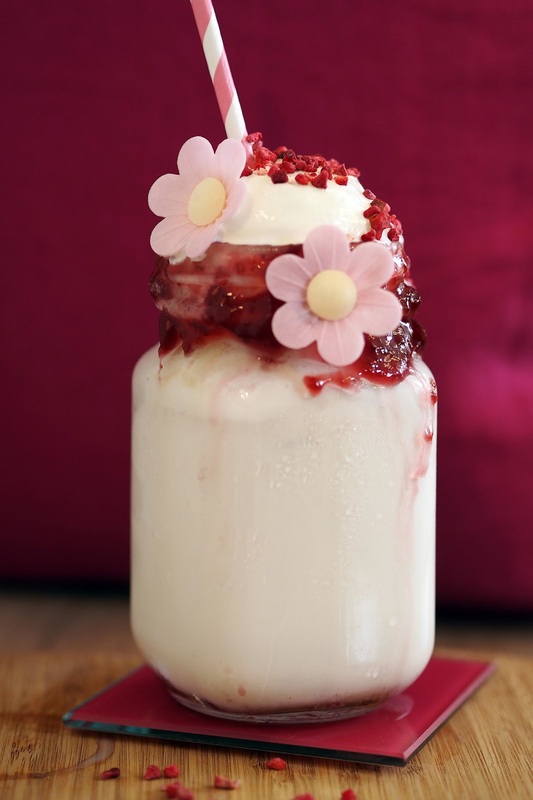 I've used freeze-dried raspberries, edible flowers and sprinkles! 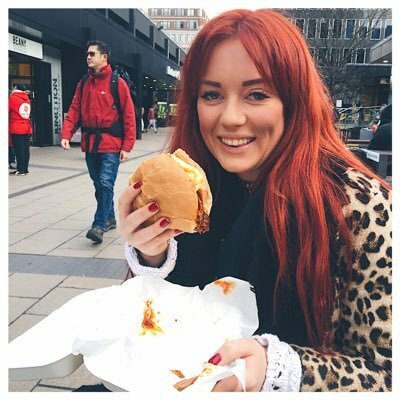 If you give it a go, I'd love to see any pictures and if you're in London, make sure you head to Liberty between 11-24th April to try the new flavours for yourself!